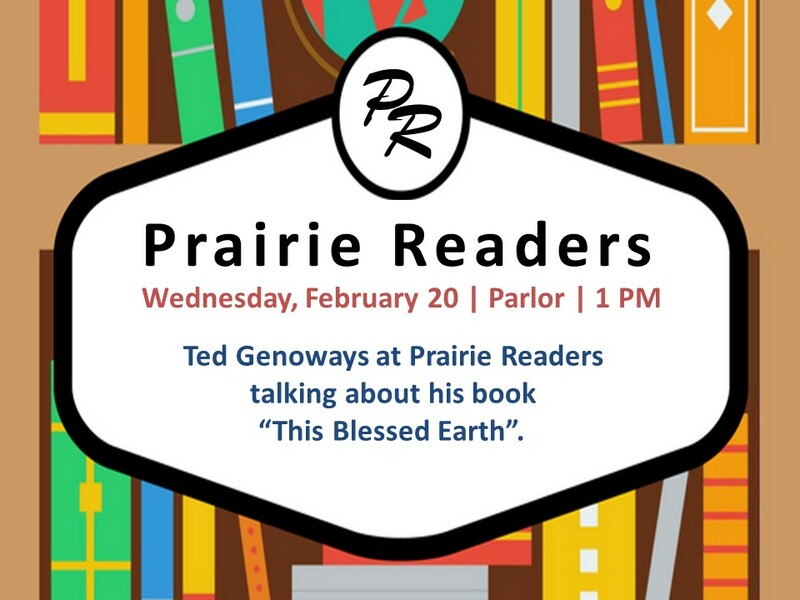 Prairie Readers extends a special invitation to all for a special presentation by Ted Genoways about his book, This Blessed Earth: A Year in the Life of an American Family Farm. Following a Nebraska farm family from harvest to harvest, Genoways explores the rapidly changing landscape of small, traditional farming operations as he describes the day-to-day work of this farm family. The book has been selected as “One Book, One Nebraska.” Don’t miss an opportunity to hear Genoways talk about this subject so important to all Nebraskans.